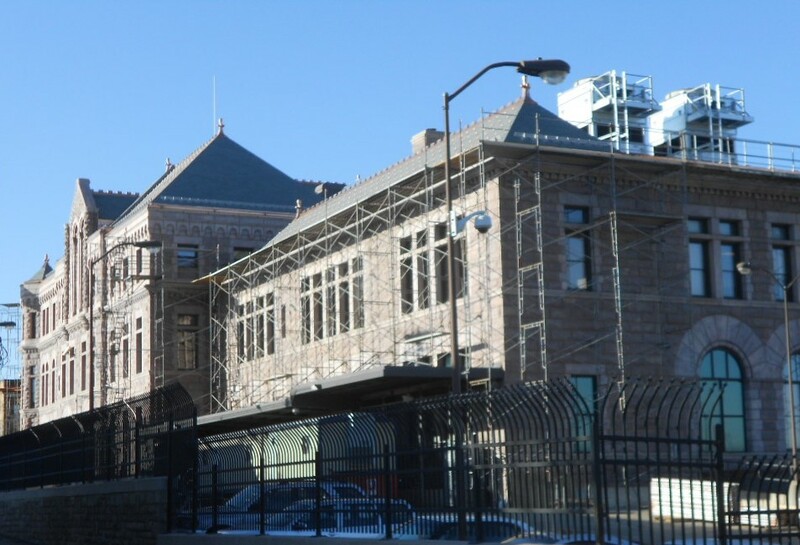 Rangel Construction Company has been working with the US General Services Administration since 2009, on multiple projects, to improve/alter all of South Dakota’s five federal buildings/courthouses. 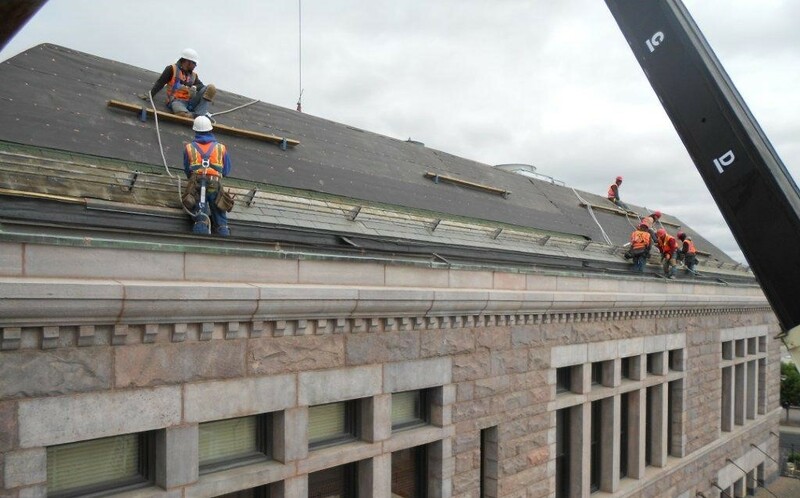 Because of our longstanding relationship, the GSA turned to Rangel Construction for replacement of the roofing systems upon the Sioux Falls Historic Federal Courthouse. A project such as this is only performed once or twice a century. 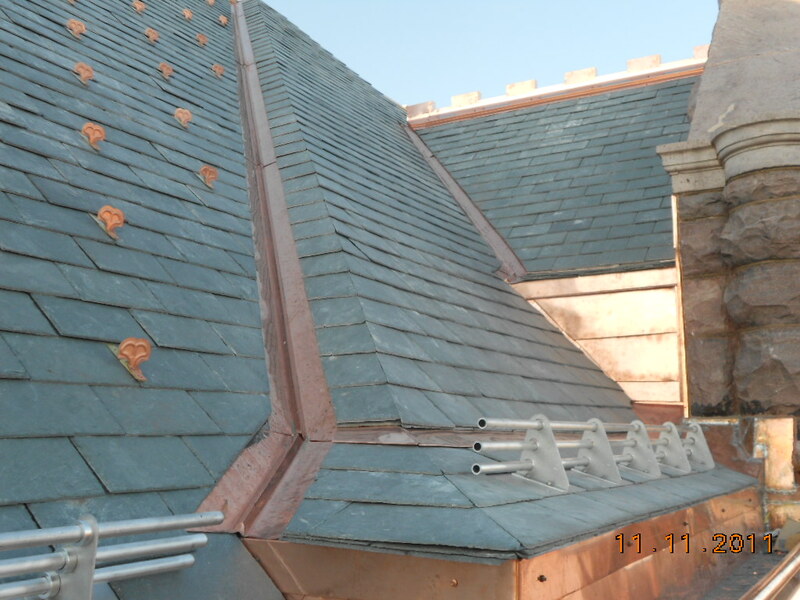 The scope of work involved the replacement of existing slate/copper roofing, built-up roofing, copper finials, copper gutters with EPDM lining, and decayed roof deck planks with new on a historic courthouse building. 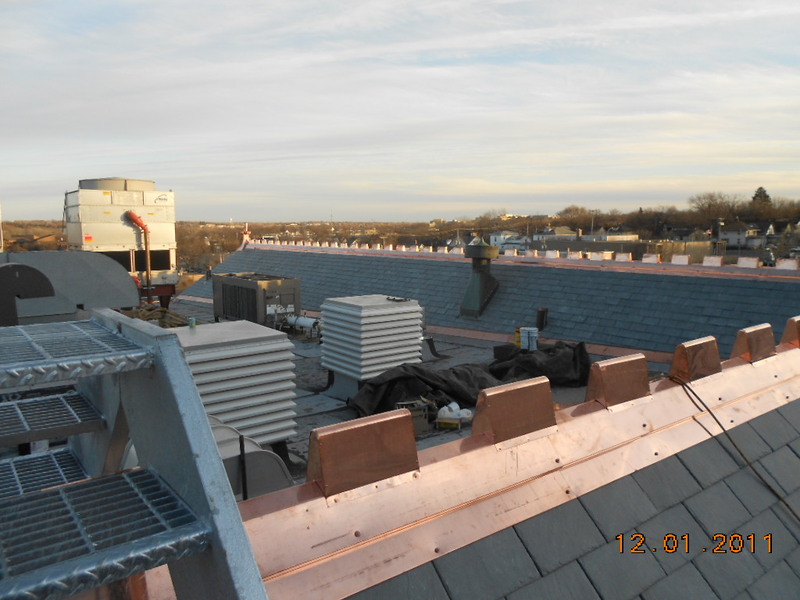 Work was completed in and around a functioning and occupied US Federal Courthouse building. 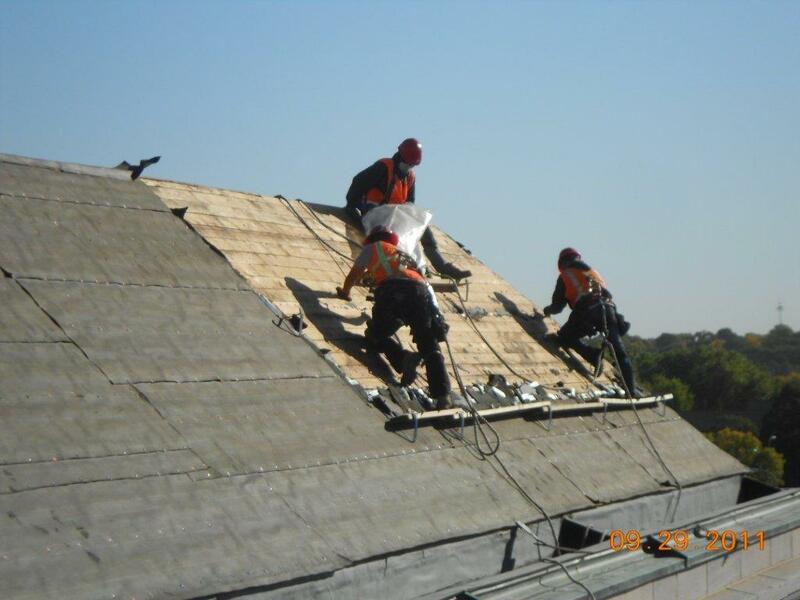 Scaffold was constructed around the entire building, in order to create safe and convenient access to the roof (4 stories above ground level). All court proceedings needed to be uninterrupted, and the staff and judges within the building could not be significantly displaced or inconvenienced. 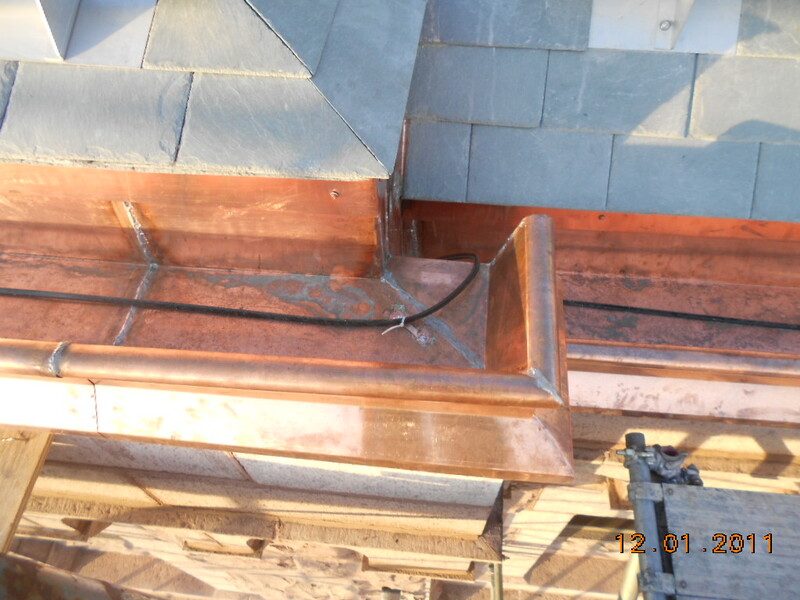 Significant effort was required to replicate the existing copper finials and ridge flashings. 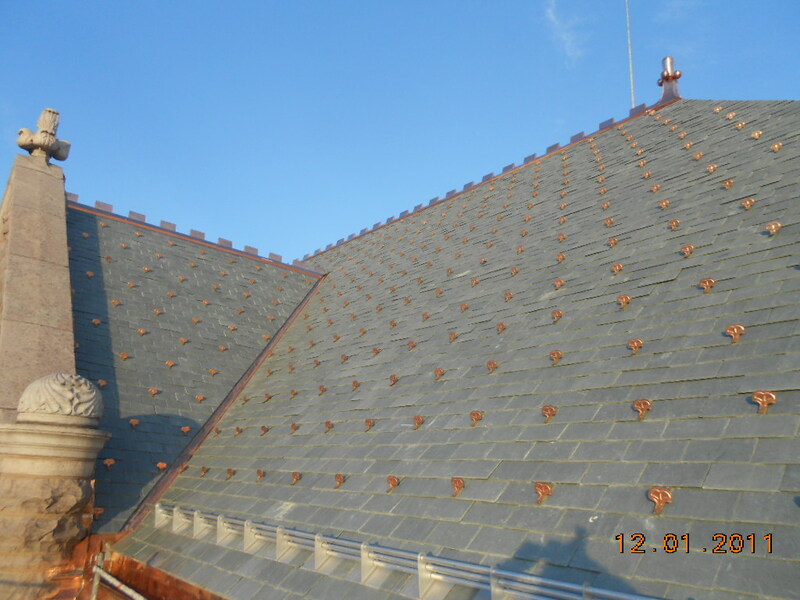 Further, the slate roofing was mined and produced specific to this project, in order to match the color of the original slate. The decayed roof decking was constructed of full-dimension timber planks, which had to be produced and ordered specific to this project. 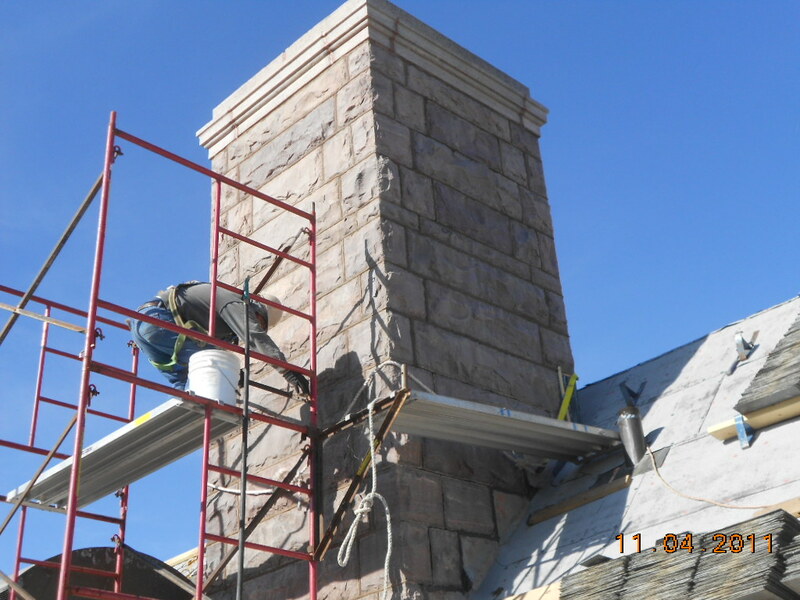 The performance duration for this project was tight, but all work was successfully accomplished in less than 4 months, without injury, without significant inconveniences, and without dispute.